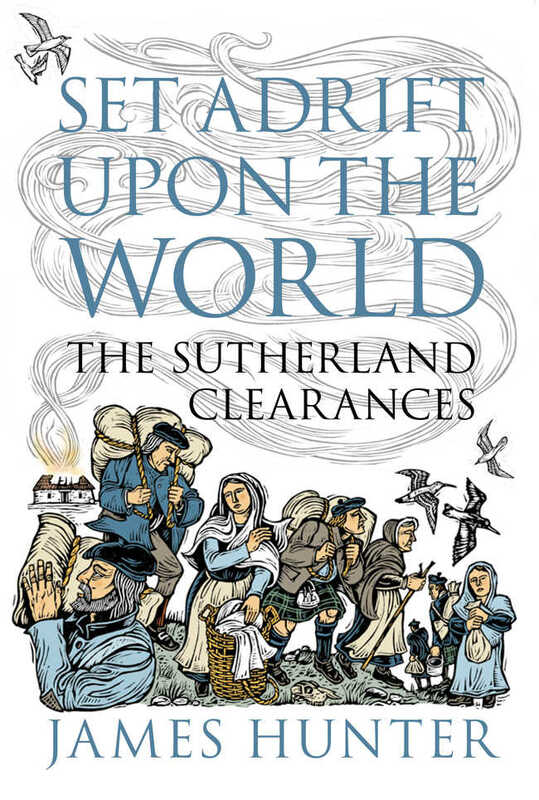 In Set Adrift Upon the World: The Sutherland Clearances James Hunter masterly weaves together a fascinating account of the Sutherland Clearances. One that takes you from the Strath of Kildonan and other parts of Sutherland to battles in New Orleans via South Africa and onto the foundation of what is now the Canadian city of Winnipeg. Along the way you are introduced to characters from the early 1800s that have a familiarity about them as their names remain in use today throughout the Highlands & Islands of Scotland. Heart wrenching accounts are given of the barbarity of evictions that left people homeless and often resulted in the death of the young or infirm shortly on the back thereof. Journeys by foot across frozen Canada conjure up images like those from the Oscar winning film The Revenant. On a lighter note, the intricacies of malt whisky making are explained and we learn what Alison Watt’s favourite painting is in the collection of the National Galleries of Scotland. It was impossible for me to read this book without unfortunately seeing parallels to ‘The Common Clearances’ of today. That is, the removal from office of Common Grazings Committees by the Crofting Commission. A body whose remit is supposedly to regulate not decimate crofting. This is currently happening with unusual regularity, in haste and on what appears to be completely unreasonable and unnecessary grounds. The Crofting Commission are today’s Marquis and Marchioness of Inverness and their henchmen are easily identifiable. Kangaroo courts, ignorance of the law, conflicts of interest, self-interest, corruption, nepotism, historical revisionism, intimidation and bullying have all been referred to as tactics used by the Crofting Commission as part of ‘The Common Clearances’. About the only difference with the Sutherland Clearances so far is the absence of fire. To think these comparisons are being made 200 years after the Sutherland Clearances is hard to fathom. Equally hard to believe is the fact that the Scottish Government of today has so far not intervened in what the Scottish Crofting Federation has referred to as a “calamity”.